So, y'all know that me being a girl that is so down for my city, I am also so proud to be a Texas girl. And as a proud Texan, I was a bit ashamed to not have known that the Rio Star Grapefruit is our State Fruit and that February is National Grapefruit Month! I should be ashamed of myself, I know. But sinverguenza, no more! All thanks to TexaSweet for inviting me over for a Grapefruit 101 class at Central Market. I learned how to pick the right grapefruit: the key is smooth skin. Don't worry about the marks, they are just beauty marks from the wind and are at no harm at all. And they also introduced me to grapefruit recipes that could be used from breakfast to dessert! Anyhow, the most important thing I learned? How to supreme a fruit. I promise, you will never go back. And for those who have held back because they think a grapefruit is too bitter? The skin holds all the bitterness, so when you supreme (cut sections individually) you take it all away. Here is a little how to. And really, practice makes perfect! Now with all this knowledge, I went ahead and incorporated some recipes into my everyday dinner. As a busy working mom, I only have about 45 minutes to whip up dinner, so I turned to a regular in our house: Fish tacos, salsa, black beans and a salad. Easy, right? 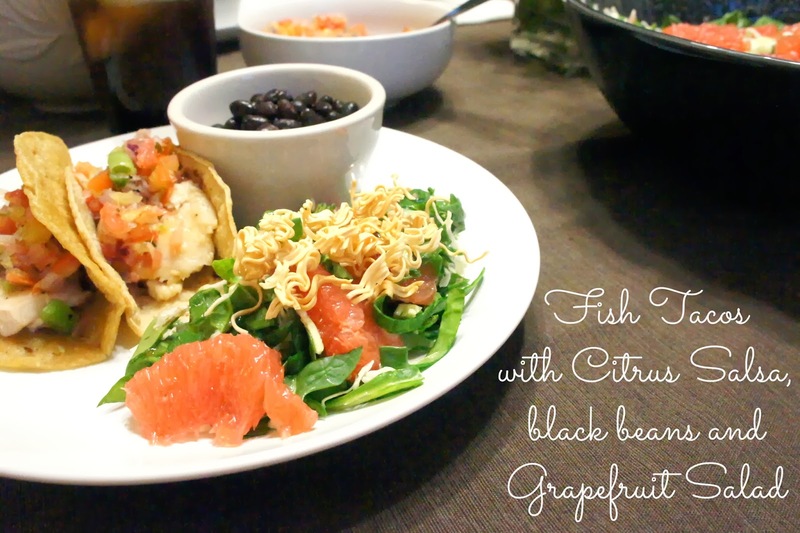 I used the marinade from the Texas Rio Star Grapefruit Glaze on my tilapia and let it sit in the refrigerator, while I sectioned some grapefruit. Huge tip: Supreme the fruit on the weekend as you prep for the week and keep in a container, refrigerated, for easy inclusion in your meals. We prep fruit on Sundays for the week ahead, so this wasn't a biggie. 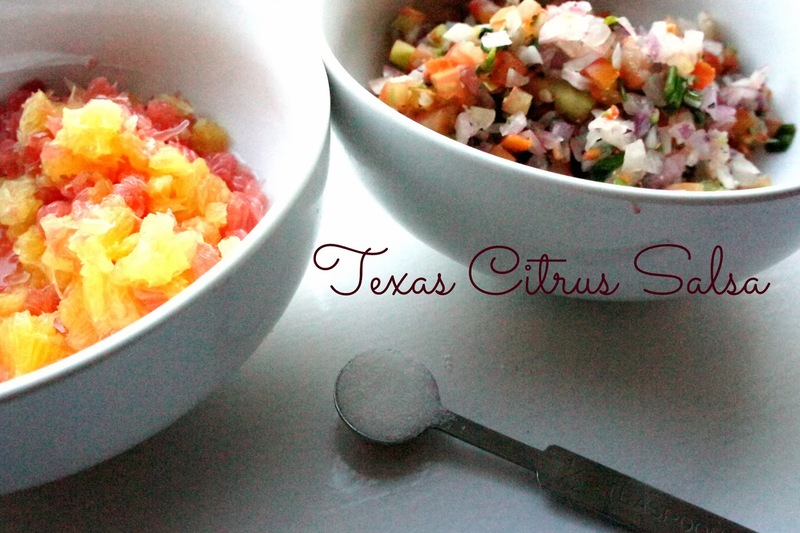 Next was the Texas Citrus Salsa. Busy mom tip: I purchased already made pico de gallo, added my chopped grapefruit, orange and a 1/2 teaspoon of sugar and it was perfect in seconds! 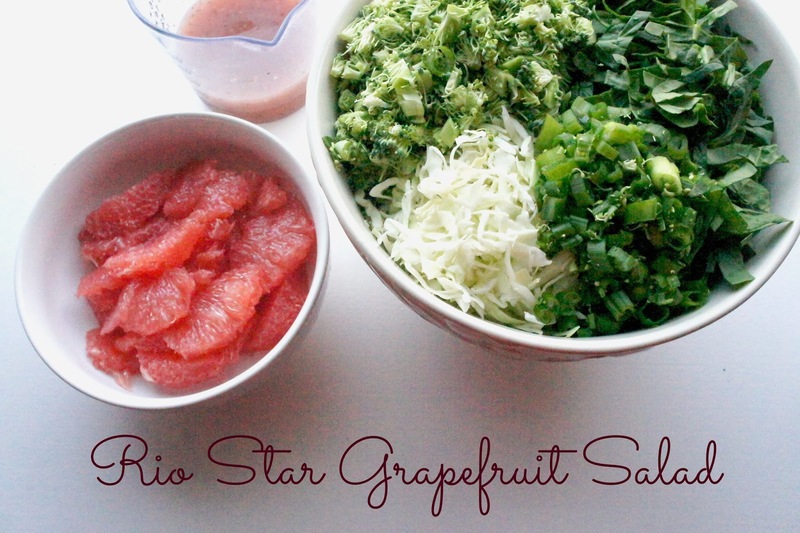 Then it was on to my favorite, the Rio Star Grapefruit Ramen Salad. I followed this recipe exactly as it was read, but doubled so I could have some extra and share! It contains broccoli, cabbage, green onions, spinach, grapefruit and red wine vinaigrette. I pan grilled the fish, warmed some corn tortillas on the comal, and heated some canned black beans and we had an amazing Sunday dinner. 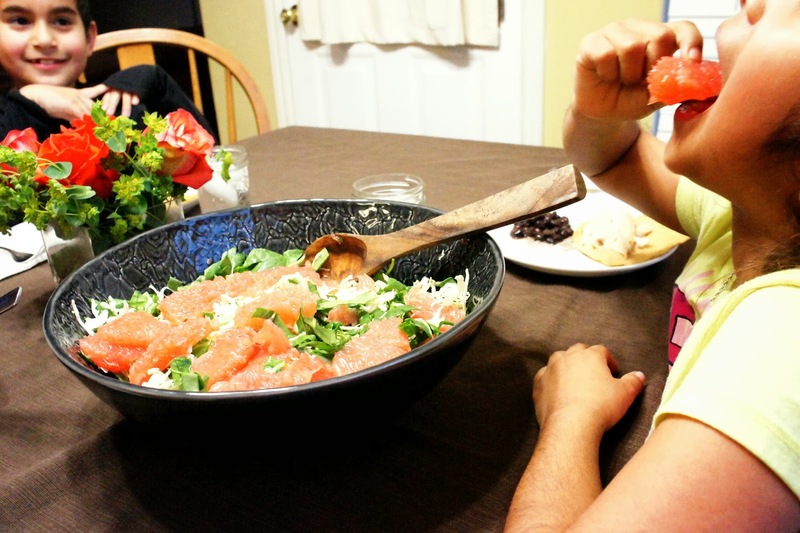 It was actually my kids' first time trying grapefruit and they couldn't keep their hands out of the salad bowl before I could take a picture to share with you. I am just happy that they liked it! I have to say that this meal was perfect, and so refreshing to spruce up our everyday meal plans! 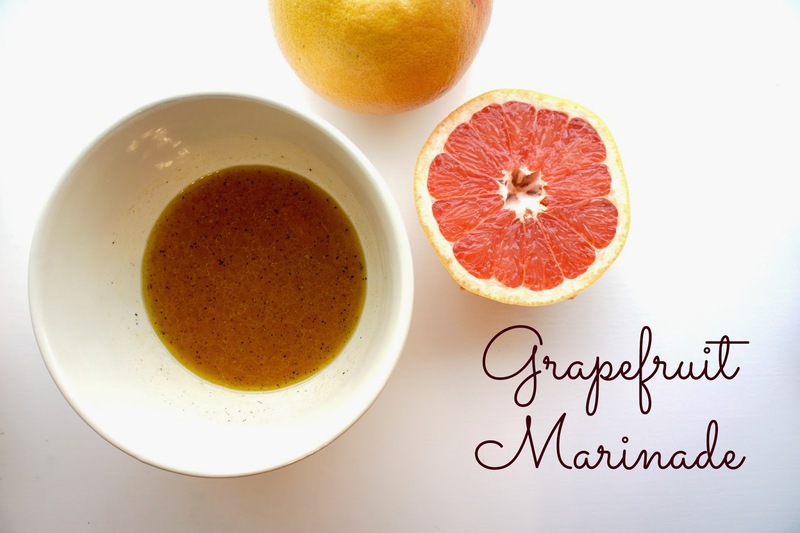 I hope you get a chance to visit the TexaSweet website for more grapefruit recipes and check out my friend Sara as she used a grapefruit marinade on her steak and had grapefruit punch!